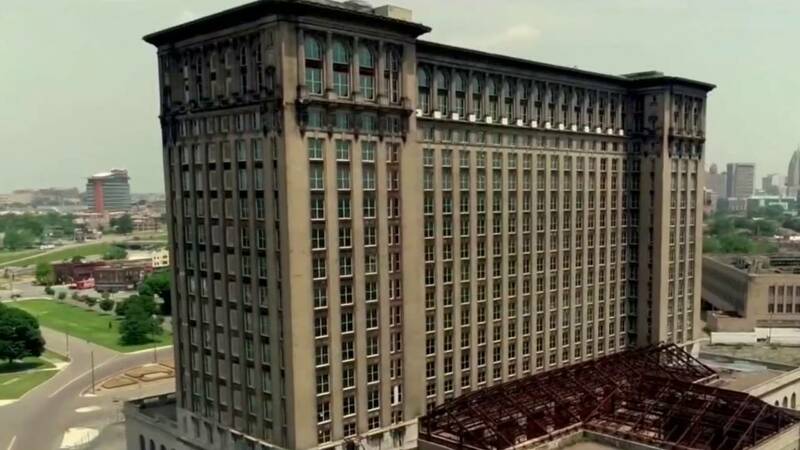 DETROIT - Ford Motor Company officials announced in December that the automaker is beginning the first phase of construction at Michigan Central Station in Detroit. For starters, Ford plans to winterize the 105-year-old building in Detroit's Corktown neighborhood. The building needs to be dried out from extensive water damage it sustained over the years and stabilizing the structure will be necessary before any further work can be done, the automaker said. Ford purchased the historic train station earlier this year. The last train left Michigan Central Station 30 years ago and it has stood vacant ever since, a hulking embodiment of Detroit's long decline from America's manufacturing engine to its biggest municipal bankruptcy. Ford is expected to complete a massive revitalization project at the station by 2022. The site will become a 1.2-million-square-foot innovation campus where Ford and its partners will work on autonomous and electric vehicle businesses, and design urban mobility services and solutions. The project will bring about 2,500 Ford employees to Corktown, most from the company’s mobility team, and an additional 2,500 jobs with Ford’s partners and suppliers, according to the automaker. In November, Ford announced Quinn Evans Architects will lead the design work, while Christman and Brinker are teamed up in a joint venture to serve as construction manager for the Corktown transformation project. At the time, Ford said construction would get underway before the end of this year, contingent on receiving all necessary government approvals.